We are inspired by a call with Harvard Business School alumni, Dan Abbasi, low carbon investor and executive producer of the Emmy-winning television series on climate change called “Years of Living Dangerously,” and Christiana Figueres, Executive Secretary, United Nations Framework Convention on Climate Change. Fifty of us listened as Figueres briefed us on the status of climate change action and expectations for the UN talks this week. She and Dan Abbasi were engaging with elite members of the business community to encourage us to apply pressure wherever possible to global leaders coming together on Tuesday to tackle this issue. It was meaningful to us because it marks the first time we’ve been networked with other HBS grads for social action related to climate change. In other words, we need to move both at once to effect timely action on the climate, to keep global temperatures within the limits of human safety. We have to say, it’s heartening to hear from this contingent when so many of our fellow graduates seem to be deep in the deny or postpone camp. $9 trillion is needed for clean energy infrastructure – the largest investment opportunity in our history. China is in the lead in this transition with huge wind and solar commitments for the future. Even now, it produces double the European Union in energy from wind and has started development of a solar plant that will yield as many gigawatts as a nuclear facility. China is also helping other countries to make the transition, investing in Australia’s plan for renewables in the Pacific Islands. Being the most vulnerable to climate change, ocean-dependent nations are the first to make the transition. For example, Samoa will be completely transitioned to renewables by 2016, proving it can be done. Forty countries have carbon pricing in place now, plus seven pilots in China, several around the US (California for one) and elsewhere. Global carbon pricing should happen quickly once China aggregates its regional carbon pricing plans into a single national price, a price that will be easy for others around the globe to adopt as well. Public opinion and an engaged citizenry is critical to these efforts. It was the outrage of China’s public over health risks of its extreme air pollution that moved that country. Here in the U.S., the People’s Climate March on Sunday the largest call for climate action in history, makes it visible to our government and UN representatives how widespread public support is. The elite can exert their influence in targeted calls to government leaders and in sustainable business practices in their personal and professional lives, changes that will move sustainable behavior to the mainstream. Abassi closed with a statement that climate change should not be a political issue, but an investment issue. The stick was left hanging, but as we learned years ago at the Women’s Network for a Sustainable Future, smart companies like Dupont have been using their own internal carbon pricing for years, preparing for what they believe is the inevitable future. And by examining CSRHub’s ratings on Energy and Climate Change, as businesspeople, we can compare how companies are performing in this area, and take action. Why was this confab so important? This is the start of an organized effort by the business elite to tackle the issue of climate change. That a small band of HBS alumni has started to build a movement is as thrilling as the global climate march. Climate change advocates already include such prominent business leaders as Michael Bloomberg and Henry Paulson, but they are outliers among Wall Street Journal readers who roundly deny or even mock efforts to address climate change. This inaugural meeting of HBS supporters could eventually change minds, moving our work to the mainstream of the business elite as well. 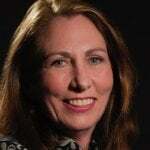 Cynthia Figge is a forerunner and thought leader in the corporate sustainability movement. She is COO and Cofounder of CSRHub, the world’s largest database that aggregates and organizes data and knowledge on the social, environmental, and governance performance of 9,300 companies to provide sustainability ratings to the marketplace. In 1996 she co-founded EKOS International, one of the first consultancies integrating sustainability and corporate strategy. Prior to founding EKOS, she was an officer of LIN Broadcasting / McCaw Cellular, and led new businesses and services with Weyerhaeuser, New York Daily News; and with New Ventures. 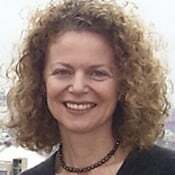 Cynthia is Board Director of the Compassionate Action Network International. Cynthia received her bachelor's degree in Economics and an MBA from the Harvard Business School. She lives in the Seattle area. Do Companies Lead Countries Towards Social Development? The United Nations Development Program (UNDP) has been publishing an independent Human Development Report (HDR) for almost twenty years. Its associated Human Development Index (HDI) is well-respected, broad (182 countries), and widely read (they translate it into a dozen languages). In contrast, our CSRHUB ratings system has just recently launched and is not nearly as well known. While we cover more companies (more than 5,500) and countries (66) than any other source of corporate social responsibility information, we can’t claim the same level of authority or readership as the HDI. Further, our ratings describe company behavior—the HDI talks about countries. Should there be a connection between these two data sets? One could hypothesize either that countries with a good HDI score produce socially positive companies or that socially positive companies help foster a business climate in their countries that addresses human development. Either way, we could see a correlation between our average Community rating (which contains information about community development, philanthropy, human rights, supply chain issues, and product quality) and the HDI. We only have enough data to match up 52 of the 66 countries we cover, with the HDI information. Still, a 50+ point data set should be enough to reveal if there is a meaningful relationship between two sets of data. When we graph our 0 to 100 country score against the HDI’s 0.0 to 1.0 range, we see only a 3% correlation. This suggests they may be no relationship between company behavior and country norms. Notice the cluster of data points to the right and the long tail of points that stretches to the left? Most of the points on the right (with good HDI values) are for developed economies. The tail to the left includes smaller, less developed countries. Many of the less-developed countries have only a few major publicly-traded companies. The social standards set within these major companies may not be representative of the general level of social performance of companies in those countries. If we remove countries where we have a small number (fewer than 20) of companies and exclude the still-developing economies of India and South Africa, we find a much stronger (27%) relationship between our community rating and the HDI. The connection between these data sets is still not perfect. For instance, our top three countries on the Community score within this set are France, the Netherlands, and the UK. The top HDI scores for this set of countries are for Australia, Norway, and Canada. We need to have more data points over a longer baseline (our site has only been up for about six months) before we can claim to have proven a relationship. Still, it is encouraging to see signs of a connection between companies and their countries. If companies follow the standards of their country—and improve as their countries improve—we should see the gap between the HDI score and our score close up, over time. If countries follow the example set by their leading companies, we might see company scores continue to improve and the HDI/CSRHUB Community score gap stay the same. We will try to revisit this analysis a year from now, and see how things have changed.